“Summertime and the living is easy,” unless you have kids in sports, a yard to maintain, or worse—a boat to repair; sometimes it’s a wonder we can get out on the boat at all. So when you do hit the water, prepare yourself to make the most of it, and we can help. We have some great gift ideas for dads, grads, birthdays or even weddings. Stand out from the crowd and give a gift that shows you know what’s important to the important person in your life, and if you can’t decide, a BBLADES Gift Certificate puts the decision making in the hands of the receiver. There is an entire summer of boating-related activity around the nation this summer, and you can check-out what’s happening on the Poker Run scene in this great preview from Speed On The Water Magazine. Looking to kill some time on a rainy day? Swing by our Facebook page, where we offer a mix of serious and funny stuff. We’ll also share your run, race or tourney info if you give us a heads-up. BBlades will answer questions at www.PowerboatNation.com as well as www.OffshoreOnly.com if you would like to join us there. Read on for some money-saving, performance-improving tips. 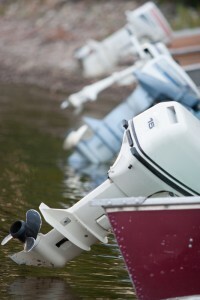 One way to beat back rising fuel costs is the right propeller and the right boat set-up. 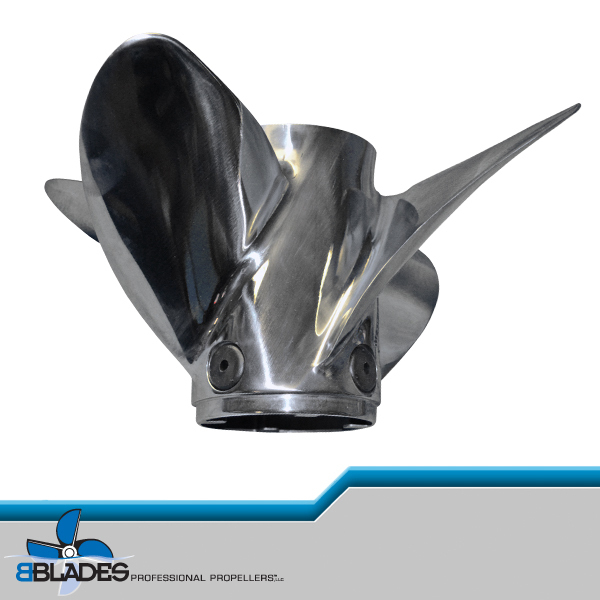 With 80 years of combined propeller know-how, the pros at BBLADES can help squeeze the most efficient performance from your boat, and help you achieve the maximum fuel efficiency for your performance goals. 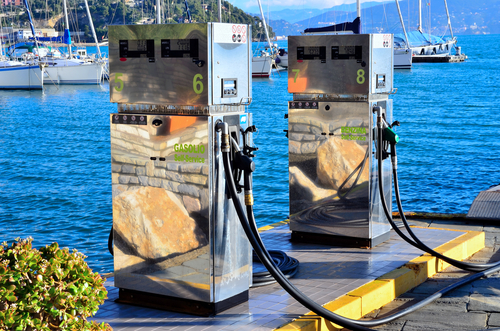 Obviously, flat-out top speed and “fuel efficiency” don’t always add up, but there are steps every boater can take to get more miles per gallon and use fewer gallons per hour. It is important to remember that these are general rules, and there are exceptions. Although the model and size are the same, there is no such thing as two identical boats. Each has its own personality. 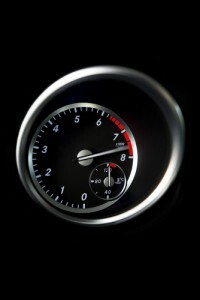 Lower engine RPM equates to less fuel use, that’s true. However, high engine RPM that is the result of an inefficient set-up, or the result of a high prop slip percentage can often be corrected by changing to a propeller that has more blades, changing the depth of the prop in the water or changing the pitch, diameter or other prop geometry. 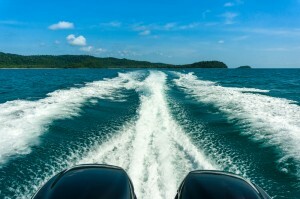 It is also important to establish the optimum cruising RPM for a given boat. This is done by testing the engine in 500 RPM increments and applying the efficiency formula. There are a number of devices available on the market to calculate prop slip and BBLADES can provide assistance in calculating both slip and efficiency. From a dead stop, the natural inclination is to slam the throttle forward, then adjust the speed and trim as the boat comes on plane. The right propeller – usually a four or five blade, as compared to a three bade – will get a boat to plane more quickly, at a lower RPM, and reduce fuel use. Stainless steel props provide versatility; they are stronger and maintain prop geometry better, which translates to improved performance and longer life. Stainless is the optimum material for “blueprinting” or “lab-finishing” a propeller to achieve specific performance goals, but aluminum, nibral and even brass propellers for ski boats and big cruisers can be tweaked to improve performance and help reduce fuel use. 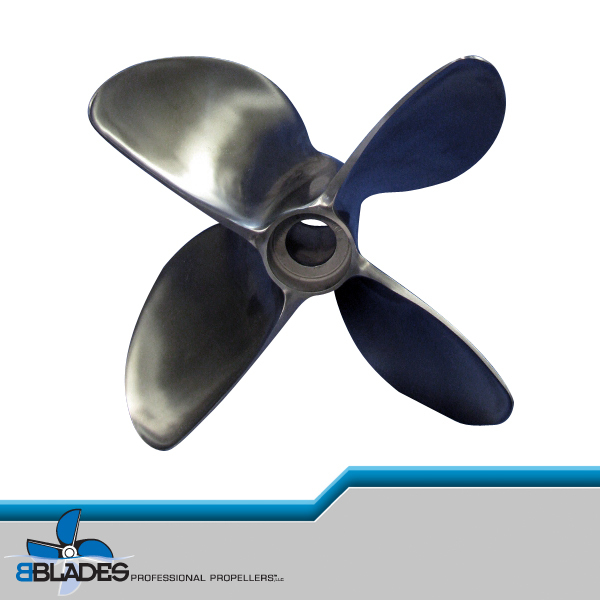 Set-up (how high or low the propeller sits in the water) and the number of prop blades can maximize efficiency and the experts at BBLADES can provide guidelines on what might work best. In addition, BBLADES offers the marine industry’s best propeller test programs to help determine exactly how a specific choice will work on a specific boat. Propeller manufacturers are constantly adding new choices to their prop line-ups. For example, Mercury Marine has the new Enertia Eco Prop, designed and proven to deliver up to 10% better fuel economy. High-performance boaters running SSM #VI or similar drives have a variety of five and six blade options. Both Hering Propellers and Mercury offer models with prop diameters in quarter-inch increments. Mercury now offers different blade thickness on these screws based on engine horsepower, allowing for the thinnest, safest blades. Hering Propellers also offers forged propellers for that added assurance of strength for boats with HP levels in the 1300+ horsepower range. Both companies offer these so-called “surfacing propellers” with aggressive rake angles that will determine how much water the blades “bite” with each revolution of the prop, while adding trim angle. A higher rake will generally mean more bow lift, reducing hull drag and increasing boat speed with lower fuel use. The best way to determine the right prop is to consult with the pros at BBLADES and take advantage of our various test programs, or by calling 920-295-4435. Inspect the leading edges for nicks, gouges or other damage. The longer a damaged blade goes undetected and un-repaired, the greater the risk of impaired performance, or worse, blade failure. Props with large, deep dents, gouges or torn material should be replaced or, give us a call to see if it can be repaired. Sand and silt can affect a propeller’s trailing edges and reduce cup. This will lead to longer planning times, higher engine RPM, more fuel use and lower top-end speed. While BBLADES can add or remove cup, this type of damage is often un-repairable and you should seriously consider a new prop. Mineral deposits on stainless wheels can be removed with cleaning products like Lim-A-Way (or save some money and use vinegar), but be sure to follow manufacturer’s directions carefully when using these products. Transporting and stowing your props correctly can also prevent damage. BBLADES offers a number of different options from prop covers to cases to the B-Stow stationary mount.